Grew Up… in the 2030s, a few decades before the invention of time travel. When time travel was finally invented, it was immediately banned, but crime bosses in the future continue to use time travel to dispose of rivals and other targets. 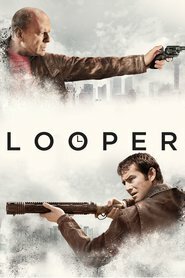 Profession… “looper.” Joe has chosen a profession in which he makes a great deal of money for doing a great deal of harm. He lives under the radar, off the grid, and he knows that one day, many years from now, his time will be up. Then he will be kidnapped and sent back in time only to be killed by none other than himself. Interests… new drugs. Joe is addicted to the kind of drugs that slow down time and make you feel like you’re jumping through it. Relationship Status… single. He’s not looking to give up too much of his heart so soon. Challenge… closing his loop. It’s harder than it might sound, not only because of the philosophical dilemma of killing one’s future self. In Joe’s case, it is particularly hard because Joe’s future self is very good at surviving. Personality… self-centered, living for the moment. Joe has basically signed himself a death sentence in order to enjoy wealth and zero consequences in the present. He’s the kind of person who prefers to give into a night of partying even if he knows he’s going to have a horrible hangover in the morning. Joe's popularity ranking on CharacTour is #3747 out of 5,000+ characters. See our top-ranked characters and read their profiles.